Sophomore tight end Parker Houston tackled by a Boise State defender during SDSU's 14-31 loss to Boise on Oct. 14. After two consecutive blowout losses at home, a six-hour flight to tropical paradise could be just what the doctor ordered for San Diego State football. 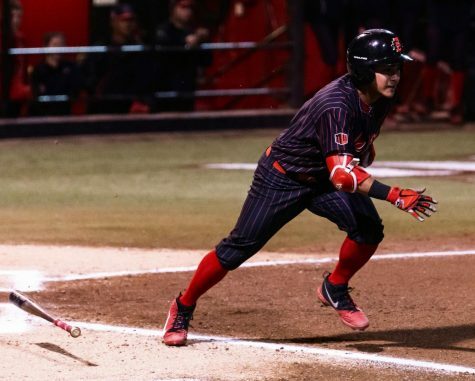 The Aztecs (6-2, 2-2 MW) travel this week to Aloha Stadium in Halawa, Hawaii, to take on the University of Hawaii (3-4, 1-3 MW) in a Mountain West Conference matchup on Oct. 28. SDSU is only two weeks removed from being undefeated and ranked No. 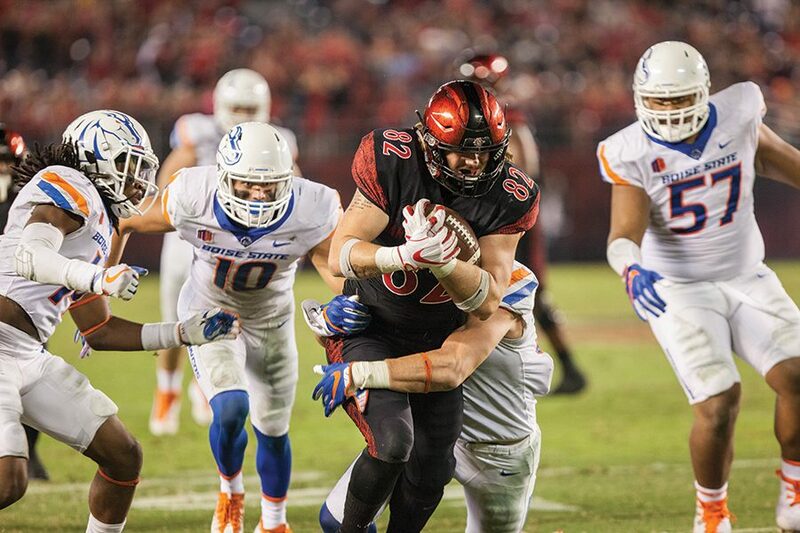 19 in the AP Top 25 Poll, but after back-to-back conference losses to Boise State University and Fresno State University, the Aztecs will scramble to get back in the win column against a Hawaii team which they have not lost to since 2005. 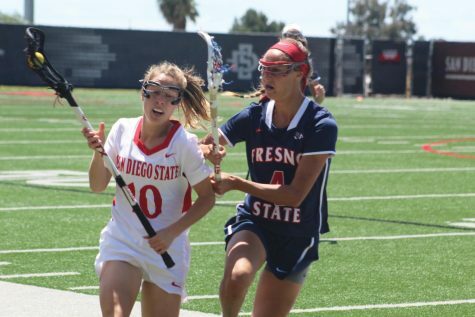 The Aztecs have put themselves in a perilous position in the MWC, two games back of first place Fresno in the West Division, and while their goal remains to reach the championship game, all the team can do now is take one game at a time. 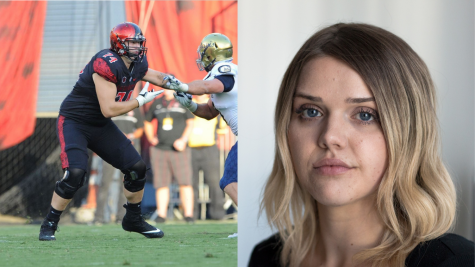 The teams were involved in a lopsided game last season, when SDSU defeated the Rainbow Warriors at then Qualcomm Stadium by a score of 55-0. 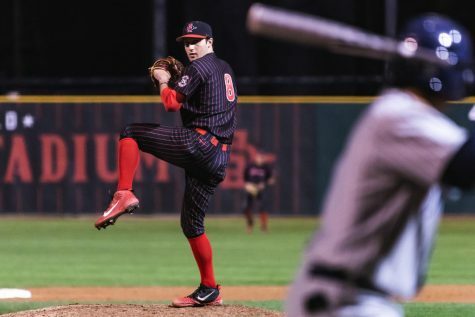 Hawaii was battling injuries to key players in the game, leading Gonzales to believe that last year’s score was not a correct representation of the talent of their upcoming opponent, who could be hungry for revenge. Momentum may be on the side of the Rainbow Warriors, who are coming off a bye week after they picked up their first conference victory of the season two weeks ago, a 37-26 homecoming game victory over San Jose State University. The victory ended a four-game losing streak. 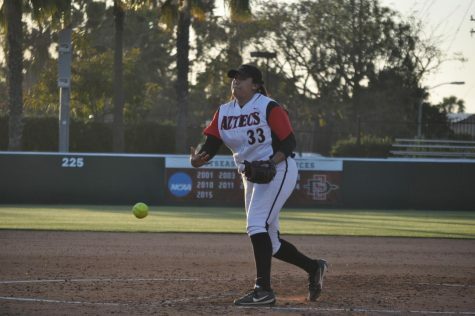 The Aztecs, meanwhile, are struggling to regain their early season mojo, and have looked like a much different team in the last two weeks than the one which went 6-0 to start the season. 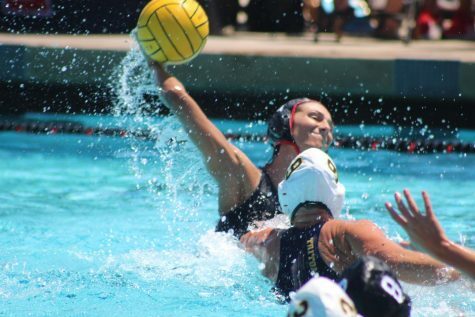 “They know they’ve got a team that’s going to be licking their wounds coming in, so we’ve got to shake that stuff off and get after them,” Gonzales said. 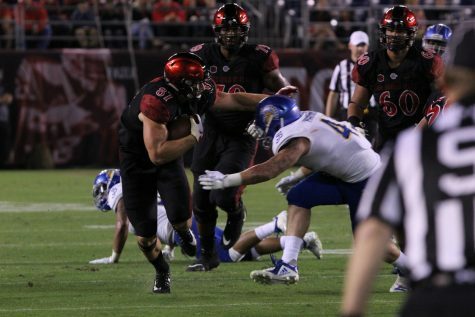 SDSU will need more on the ground from senior running back Rashaad Penny, who has seen his Heisman stock take a hit. Penny has failed to eclipse 70 yards rushing in either of the last two games, but still has the third most rushing yards in the country with 1115, on an average of 139.38 yards per game, fifth in the FBS. 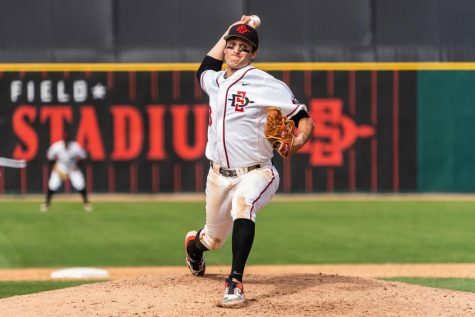 The Aztecs could also use more production from starting redshirt junior quarterback Christian Chapman, who passed for only 77 yards in the team’s loss to Fresno, his second lowest total of the season, and lowest since passing for 73 yards in the team’s week two victory over Arizona State University. This week Chapman will be facing a Rainbow Warriors defense which ranks last in the MWC in pass defense, giving up an average of 294.7 yards per game through the air. The defense is led by junior linebacker Jahlani Tavai, who is first on the team in both tackles and tackles-for-loss, with 61 and 7.5 respectively. A key on defense for SDSU will be stopping Hawaii senior running back Diocemy Saint Juste, who is coming off of two consecutive 200-plus yard rushing performances, and who the Rainbow Warriors may rely on even more following a season-ending knee injury to standout sophomore wide receiver John Ursua, suffered during the team’s win over San Jose State. Saint Juste is two places behind Penny in the national rushing standings with 1094 yards on the season, and is fourth in the nation in average rushing yards per game at 156.29. At quarterback for the Rainbow Warriors is junior Dru Brown, who has started all seven games this season, throwing for 1816 yards with 13 touchdowns and seven interceptions. Brown is the returning starter from last years team, and while he is capable of being a threat with his legs as well as his arm, he has rushed for only 39 yards on the season and will benefit from the increased run production around him. The Aztecs defense forced Brown into four turnovers in the game, including three interceptions and a lost fumble, and will be looking to break a streak of three consecutive games without a takeaway after recording 12 in the first five.